What is the Creative Urge? Doing something creative can feed my soul. Making something beautiful out of nothing is therapeutic and relieves a great deal of stress. I find I need to do something weekly or even daily to feel complete. That desire is what I call the creative urge. I love any type of craft, needlework, crochet, sewing, beading, flower arranging and just about any craft, but painting and sculpting are my two favorites. However, I have limited time because of work, kids and various other commitments. One year while working two jobs, I felt the need to do something creative burning inside, and felt trapped because there was no time. In addition most crafts are messy and time consuming. So where can a busy mom turn for a creative outlet? Online scrapbooking filled the void. I can have my computer program on in 1 minute and work for as little as 10 minutes. The work is saved with no mess to clean up, and I can start where I left off in a few hours or the next day. If I use pre-prepared papers and templates, 10 minutes is all I need to finish a page! I’ve satisfied my need to create something, but I’m also preserving memories for my family. Some phone books come with a rectangular magnet advertisement on the cover. When you're done with the advertisement, gently buff the surface with sand paper and then modgepodge a photo, pretty paper or a mini scrap page to the surface. The whole magnet and picture can be cut with scissors. I cut one into a heart shape at Valentines Day. I do all my scrap booking in Photoshop... no mess. 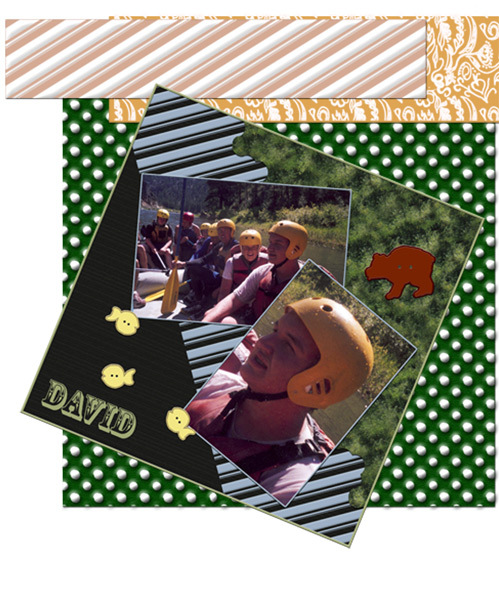 To make the papers in the scrap page for David's white water trip, I used the dropper to select colors in the photo. I used a small selection of the bushes saved as a stamp to make the green splotchy paper. The blue stripe stamp was a small clear rectangle selection with the top half colored white and added a thin white line below. Then I saved it as a pattern. When I used the stamp tool a nice stripe appeared. I colored the stripe a blue from the photo and added a bevel edge. The buttons are simple hand drawn shapes.  Then select the inside and on a new layer use the stroke the same color. Then bevel that layer. Fill another layer of the same selection. Select a small circle and delete it to make the hole. Make a matching hole. Bevel that layer.